On Saturday 19, the market lit up in green seeing the recent price stalemate broken off. A majority of coins begun surging with the crypto leader breaking past the $3,700 resistance level. This crucial break meant altcoins breaking through short-term resistance position. Ethereum responded by soaring to hit a high of $125. After encountering resistance around the $125 position, the coin seemed to retrace back and settle around $124. 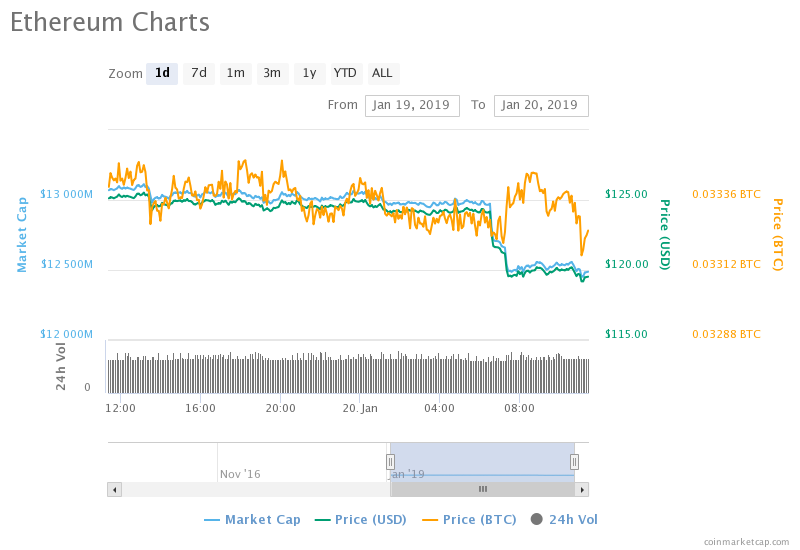 Instead of extending on its gains, Today, Ethereum as well as the wider market has taken a dip. The dip not only sees most coins wipe out their gains from yesterday but also drop below their short-term support levels. Ethereum, at the time of press, has dropped slightly below $120. This comes after successfully holding up above the $120 position for a week. Among the top cryptocurrencies, Ethereum’s drop from the last 24 hours has been the most severe one, dropping by over 4% at the time of press. Bitcoin’s drop comes close to this, with a drop of a little under 4% as it struggles to stay above $3,600. 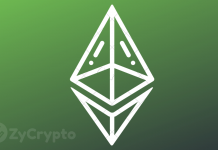 The Ethereum upgrade, which was canceled last week, has now been rescheduled for late February or early March. According to recent reports, the team has chosen block 7.28M for the upgrade, which roughly sees it fall on the 27th of February. 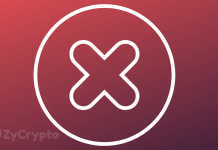 To ensure there are no arising problems, the team has decided that the vulnerable Ethereum Improvement Protocol will not be included in the upgrade. In the coming months, the team will continue monitoring the Constantinople which continues to be on the testnet phase. 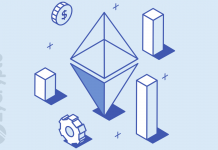 Given the date the upgrade has been scheduled for, all intents and purposes, this will not be the catalyst that sees Ethereum prices flourish in the short term. In the long term, maybe. So far, the upgrade has become a subject of contention. 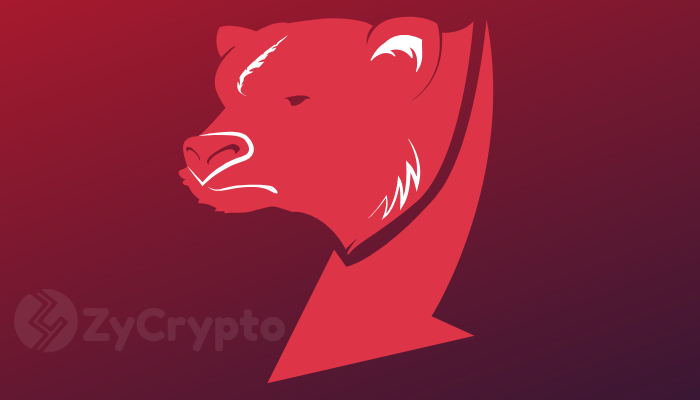 Despite receiving major support from major exchanges and miners, as well as the Ethereum team promising a smooth run, the event has had a major security concern, leaving many uncertain of its success. If successfully deployed, the upgrade is by beyond any doubt a major boost for both the Ethereum network and token. In the coming hours, Ethereum is likely to continue slipping further below $120 unless it can bounce back above this crucial position.